COST: Nothing, but you must order something while there. SHOW TIME: As the poster says, Strange things begin sometime after 8pm... probably 830ish... runs till around 11. WELCOME TO A BRAND NEW ENTERTAINMENT EXPERIENCE!!! Where the audience drives the show!! WARNING: This show is FULLY interactive, what goes on in this show requires the audience to participate in many fun and unique ways. You may be called upon to participate! Wanna play? THE SHOW IS SEGMENTED: It is a unique amalgamation of Magic, Trivia, Games & Prizes. The show has FIVE stand alone segments. The first 4 segments are made up of 5 Boxes to choose from. 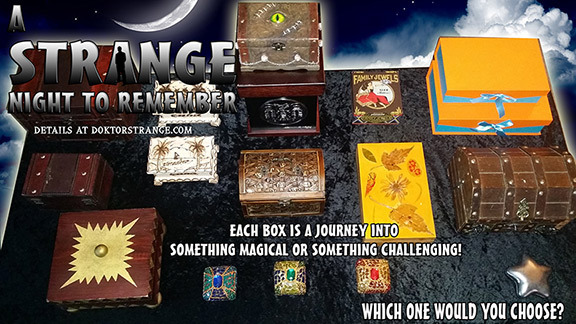 Each box will be either MAGIC or an original GAME SHOW element. Patrons do come and go throughout the night and the break between segments allow for their quiet departure. The final Segment is SPIKEY RED EYE that truly HAS to be experienced!! This show is interactive, be prepared to get involved in much of what happens throughout. By being someone who chooses a box, you might be a part of something magical or something challenging. In only two instances would selecting a box require nothing more of you... just sayin. SPIKEY RED EYE!! The Finale' and a game I am very very proud of!! 4 Players, 1 WINNER! 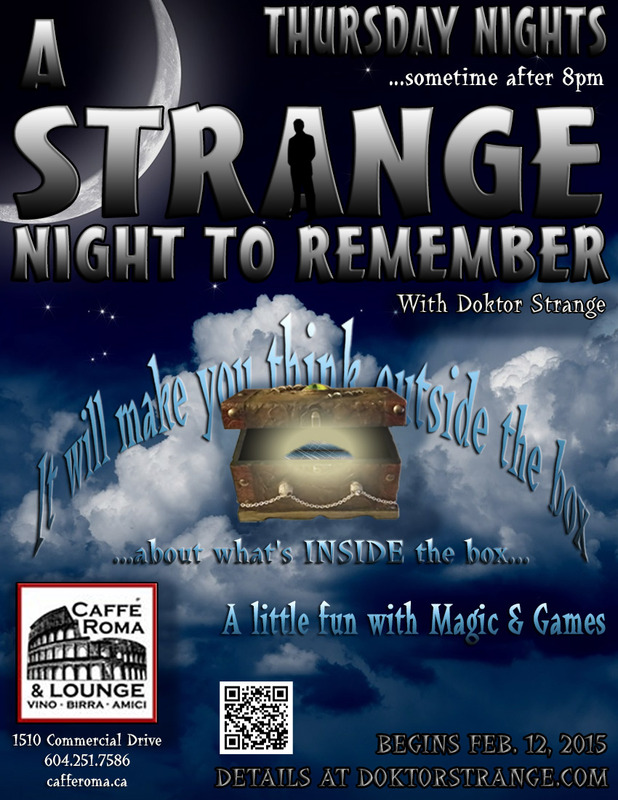 You have to be here at the end of "A Strange Night To Remember" to experience this game!! YOU might just get to be in it! !